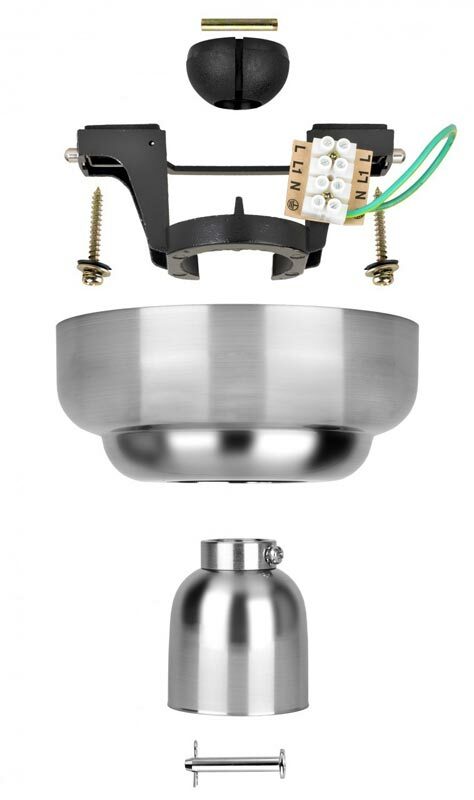 Fantasia ceiling fan drop rod conversion kit in white finish allows any flush fan to be converted to drop rod style. It also allows any fan to be mounted on a sloped ceiling of up to 40° if no remote receiver is installed. If a receiver is installed, this angle is reduced to 25°. Perfect for converting the Gemini, Mayfair and Capri fans and available in different finishes to match your ceiling fan.